Well, this is interesting. 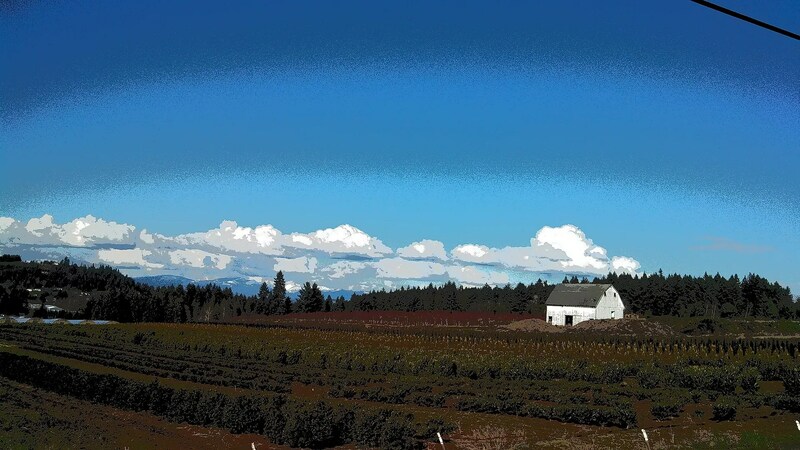 I had the wrong setting on my phone camera, and what was supposed to be a clear photo of a view into Washington’s Silver Star Mountain Range from a road near my house turned into something else. But let’s hear it for artistic expression!